'Merlin's' ending left me emotionally compromised: What happened? Merlin premiered 10 years ago today, promising a fun family adventure. So why am I still so emotionally compromised by its ending? After lulling us into a false sense of security for five seasons, the series finale of what was supposed to be a fun family show revealed BBC’s Merlin to, in fact, be a slow-burn masterpiece of angst and devastation the likes of which have, in my opinion, yet to be matched. And I watch Game of Thrones. 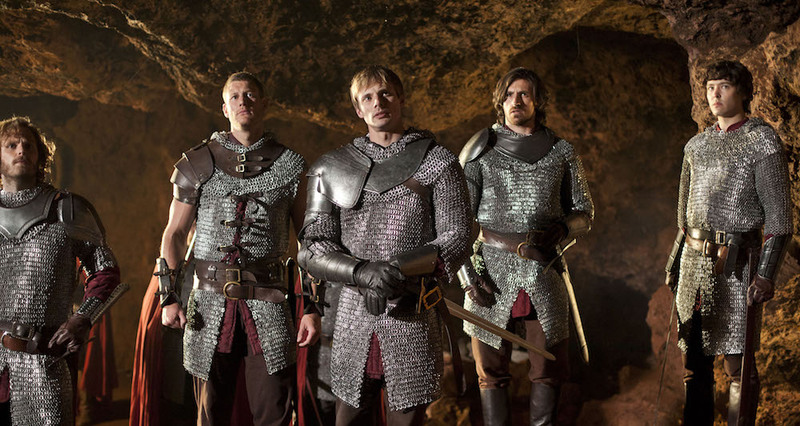 The Adventures of Merlin, which premiered on September 20, 2008 on the BBC, was a retelling of the timeless legends of Camelot, King Arthur, Guinevere, Lancelot and of course Merlin himself. It reimagined Merlin and Arthur as contemporaries, and began its tale long before either of them were legends. Merlin, played by Colin Morgan (Humans, The Fall), was a bright-eyed, Harry Potter-esque teenager arriving in the ‘big city’ of Camelot, immediately running afoul of the arrogant and entitled Prince Arthur, played by Bradley James (Damien, Underworld). 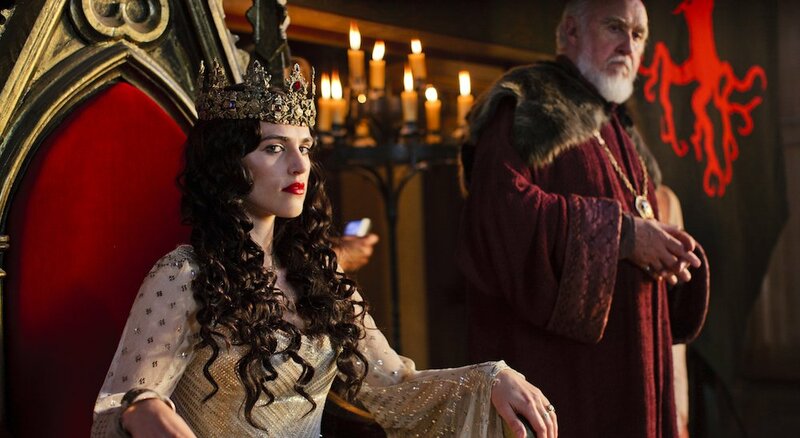 Guinevere (Angel Coulby) was a maid, serving villain-in-waiting Lady Morgana (Katie McGrath). Also starring was Anthony Stewart Head as the unpleasant King Uther, Richard Wilson as Merlin’s mentor Gaius, and John Hurt as the Dragon. When the series premiered 10 years ago, it was clearly part of the BBC’s effort to revive the quirky, slightly silly and borderline frightening family programming that had made Doctor Who (both the original and the 2005 reboot) such a success. Despite succeeding it by almost 15 years, Merlin was a close visual and thematic cousin of Xena: The Warrior Princess, and also bore a striking resemblance to its more contemporary (and also Xena-inspired) Legend of the Seeker. Its vision of medieval times had the too-clean, glossy shine of a Disney movie (indeed it was clearly inspired by Disney’s Sword in the Stone), but even so, there was something refreshingly informal about the way the characters looked and behaved. True to its concept, Merlin depicted its heroes as ordinary, modern-ish people, familiar and relatable to a modern audience even if the backdrop was fantastical. For all that Merlin is remembered as a fairly camp adventure show (which it certainly was), the first season was also just very good, and holds up shockingly well even by today’s standards — charmingly terrible special effects and all. The main reason Merlin worked, and why we can’t just forget about it now, was because of the sheer heart poured into it from everyone involved. The writing was layered with meaning and foreshadowing, both in terms of the characters and the legends, which had been cleverly reframed and reimagined to facilitate universal stories about family and friendship. And the actors were so fully committed to bringing out so much more than what was on the page, both in terms of their own characters and their relationships to everyone else. Really, everyone delivered much more than could reasonably have been expected, and it paid off: we felt the realness of the story and these characters because they felt real, and we genuinely cared about them because it felt like they genuinely cared about each other. Usually, when people talk about the chemistry of the Merlin cast, they focus on Colin Morgan’s Merlin and Bradley James’ Arthur — with good reason, as theirs was the main relationship — but Angel Coulby and Katie McGrath deserve just as much of the credit here. Gwen and Morgana and their relationship, wasted as it was in later seasons, was just as integral to hooking viewers into that all-important ‘core four’ dynamic. All four main characters felt much bigger than their ‘ordinary’ origins presumed; the legends that had yet to transpire seemed to live inside of them already, even while their actions in the moment felt authentically them. And all four had interesting, layered relationships with the rest, ripe with just the kind of ambiguous potential that fuels a fandom (incidentally, another similarity between Merlin and Harry Potter). Merlin and Arthur; Arthur and Guinevere; Guinevere and Merlin; Merlin and Morgana; Morgana and Guinevere; even Morgana and Arthur. We all knew how these relationships were meant to develop, but would they, this time, in this version of the story? The series managed to posit that anything was possible, almost until the very end, even as we were repeatedly reminded that their endgames were predestined. Because of this constant promise of possibility and untapped potential, even while the story trampled along towards its predetermined destination, it mattered how these characters related to each other on an episode-to-episode basis, and it wove an emotional thread through the sometimes silly, sometimes very serious episodic adventures that fans of all ages were encouraged to tune in to each week. By the 10th episode of season 1, “The Moment of Truth” (in retrospect the high point of that foursome dynamic), Merlin had abandoned all pretenses of being a procedural legend-a-week family show and had fully embraced the emotional intensity of what these people meant to each other and would one day mean. 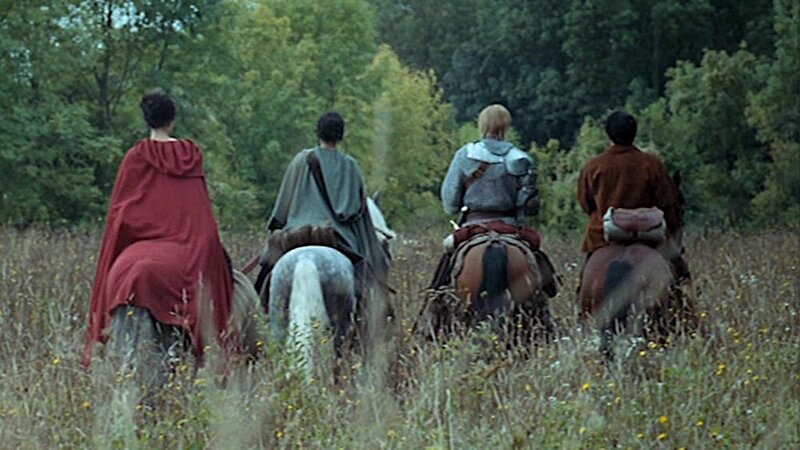 Season 1 so fully leaned into the intensity of these character dynamics that it almost had nowhere to go but down: the series certainly did not pay off on all that was set up in that first season, and it wasn’t really until the final act that it fully committed to the intensity of the bond between Merlin and Arthur. Of course that isn’t to say that seasons 2-4 weren’t spectacular in their own right, delivering some particularly memorable moments between Uther and Arthur, Gaius and Merlin, Arthur and Gwen, and of course Arthur’s knights, whose scattered arrival did a lot to keep the momentum going; Gwaine (Eoin Macken), Percival (Tom Hopper), Leon (Rupert Young) and Elyan (Adetomiwa Edun) served to flesh out the world even further and introduce even more fun dynamics for the writers and the audience to play with. But, at a certain point, the efforts to delay Arthur’s discovery of Merlin’s magic became undeniably tired and obstructive to the story, regardless of what other exciting things might be going on. Particularly the middle seasons suffered by falling back on a more superficial monster-fix-reset-repeat formula to keep its characters from both moving too far forward and veering too far off the beaten path. In a way, the almost bottomless well of untapped potential that had so inspired such passionate viewing in the early seasons almost began to work against the series, which was restricted by its emerging agenda to course-correct from where it had started back to where the legends were supposed to go. Not only did it hold back Merlin and Arthur’s relationship, but it had an arguably even more adverse effect on Morgana and Gwen. Even celebrating the lasting endurance of Merlin, it would be remiss of me not to note how the series failed its female characters in the later seasons. Despite having so much potential, Morgana and Gwen both got caught in second-hand stasis from the stagnant secret magic plot, and the series evidently not knowing how to develop them or give them much nuance beyond what the legends dictated. By the third season, Morgana had mostly been reduced to a smirking villain whose actions were made much less compelling than they should have been by a lack of coherent motivation or agenda. Katie McGrath continued to do a spectacular job with the role, which only highlighted all the missed opportunities for nuance or, at the very least, for there to be a glimmer of the person she used to be still in there somewhere. Gwen, while not reduced to a one-note villain, was pushed to the sidelines after she married Arthur, the story seeming to lose interest in her after she essentially fulfilled her legendary counterpart’s endgame. 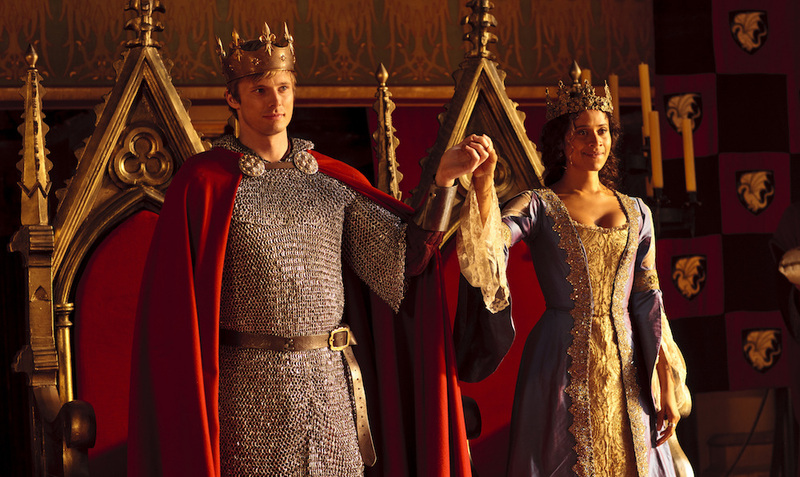 In the show’s defense, Guinevere did outlive both Arthur and Morgana, and the finale implied that she was left to rule the kingdom of Camelot alone, which was definitely not a bad fate. Still, looking back at Merlin today, we might be left to wonder what those middle seasons could have looked like, had the series devoted more time to exploring the fallout of Morgana and Gwen’s friends-to-enemies relationship, or had it been more willing to push the boundaries of the legends and give the women more agency in the story. But where Merlin lost the plot as far as Guinevere and Morgana (and, if we’re being honest, Lancelot and Uther) were concerned, the central bond of Merlin and Arthur kept the ship afloat for all five seasons. A lot of Merlin fans have argued that Arthur should have found out about Merlin’s magic far sooner, and yes, the fact that he didn’t certainly crippled the story’s ability to move forward. But if we accept that the story was never meant to move any further than it did — meaning that the moment the will-they-won’t-they of Merlin and Arthur’s shared ‘destiny’ was resolved, the story the writers set out to tell was complete — I would posit that the series pretty successfully managed to keep Arthur and Merlin’s relationship interesting even while relatively stagnant. At the end of the day, Merlin and Arthur’s dynamic was set up to follow the same tropes usually reserved for romantic stories, with the big resolution of them ‘getting together’ serving as the curtain call, and everything preceding it ultimately building up that that one all-important moment. Regardless of how you read it, and how it was intended to be read, the bond between Merlin and Arthur was incontrovertibly the emotional heart of the series. For all its episode-to-episode hiccups, Merlin was ultimately a story of larger-than-life soulmates whose intimacy fundamentally transcended friendship or romance, and whose story was always about getting to the point where they both fully realized and embraced that. And, on a macro level, the story fulfilled that promise beautifully. 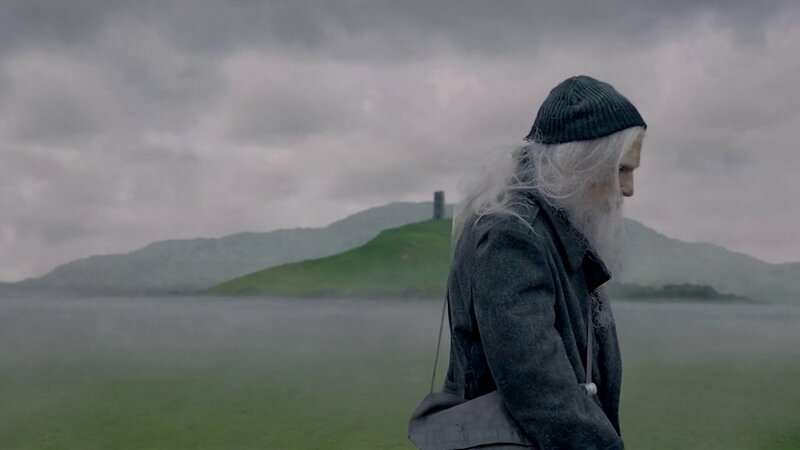 From that very first episode where Merlin was devastated by the shackles destiny, through a journey of realizing that he was choosing to follow a man, not a myth, all the way to the end of Arthur’s life (and Merlin’s realization that he had lost the man, but was still shackled by destiny), we were watching Merlin and Arthur become two halves of a whole, and shaping a world that they — and we — tragically wouldn’t be around to see flourish. And that leads us to the real reason we can’t let go of Merlin: the series finale. When Merlin premiered 10 years ago today, nobody imagined that the series would have such a lasting impact on its audience, and while the series itself was fantastic, I think the real reason we can’t let go is that the show didn’t let us: it ended on a note of reckless emotional abandon and then didn’t really end. There was a point when I wondered if Merlin would in fact subvert Arthur’s death, or at least end before it happened, but when an older Mordred arrived in the form of Alexander Vlahos in season 5, Arthur’s prophesied death became inevitable. Going into “The Diamond of the Day,” we all knew Arthur was dying, and as far as I recall, nobody involved with the series were even really trying to hide the ‘surprise’ of the legend running its course. The surprise factor of the finale wasn’t in the what or even the how, but in the how much: the amount of care and attention afforded Merlin and Arthur’s bond; the raw emotion and pain and heartbreak these two actors were allowed to express on their characters’ behalf; the sheer level of tragedy allowed for what was for all intents and purposes still a show watched by children. It wasn’t just Merlin and Arthur’s final moments together that made “The Diamond of the Day” so devastating, of course: Morgana’s death at Merlin’s hands, Mordred’s death, and Gwaine’s death in Percival’s arms; even Gwen, alone in the throne room, and Gaius, saying goodbye to Merlin, contributed to the consummate tragedy of it all, which was such a sensory overload to witness (at Christmas, no less!) it was impossible for it not to leave a lasting impression. And what a gift that must have been for these performers, particularly Morgan and James, to get to fully dive into the depth of emotion there, to be vulnerable and expressive in a way we rarely get to see men be in genre media (or at least we didn’t in 2012). It certainly was a gift to the audience: one last hurrah for these characters and these relationships and this world which had so captured our imaginations and encouraged us to think beyond the legends and even this story’s own confines. None of these actors ever held back when it came to expressing the emotional truths of their characters, but the Merlin series finale took the show to a whole other level. Yes, it would have been amazing to have gotten it sooner; no, they wouldn’t necessarily have been able to catch lightning in a bottle twice. I’d rather have one perfect episode of television than a season of ‘pretty good’, and whatever else Merlin was, that final episode is one of the best episodes of anything I’ve ever seen. Indeed, I can’t think of many tragic stories I’d wilfully go put myself through more than once, but in the case of Merlin, the poignancy and beauty of the whole story was made even more so by its tragic end, and the more times I watch it, the more poignant beautiful that tragedy becomes. The finale held neither respite nor relief, as true endings rarely do. There could be no worse ending for Merlin than separating him from Arthur and leaving him behind alone to wait, and so wait he must, and wait he did. Because the story wasn’t allowed to end with Arthur dying; neither Merlin nor the audience were allowed even the cold comfort of imagining that it might not be that long until Arthur returned. Of course 2012-me was still vaguely hopeful that a surprise Christmas special might make good on the promise of Arthur returning and putting Merlin and me out of our miseries, but even having long since abandoned that hope, I still love the perfect blend of agony and endurance of connection in that one shot: Merlin, still tied to his destiny, still waiting for his friend, still duty-bound to help someone else achieve greatness. I might be in the minority when I say I really loved that final shot, of Merlin emerging thousands of years later at the dried-up banks of Avalon, still waiting for Arthur’s return. And the more time passes from me having watched it — and yet it still comes frequently to mind — the more I appreciate its lasting legacy and impact. To make one final Harry Potter comparison, the epilogue of Merlin had the exact opposite effect on me that Deathly Hallows did, in that I didn’t feel cheated into accepting that a story I loved living in was truly over, but rather felt encouraged to live in that emotion and tragedy and possibility for as long as I could, mining the emotion of it and holding the entire series in higher regard as a result. Will Merlin wait forever? And what is he even waiting for, exactly — for his destiny to be fulfilled, or for his friend Arthur? For the legend, or for the man who accepted him for who he was and then died in his arms? What did it mean, this bond of destiny? What does Albion represent now, today? 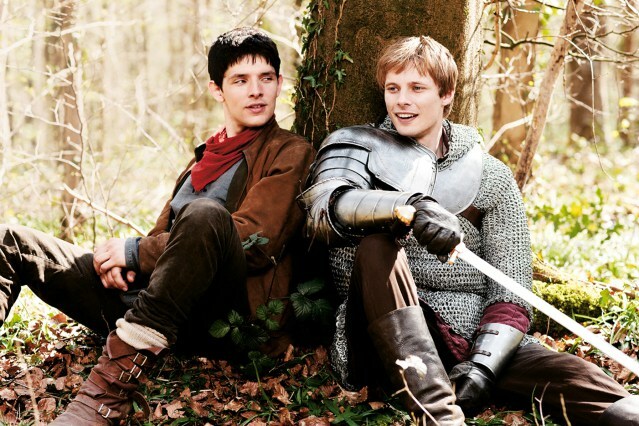 What can Merlin and Arthur represent for us? Have they already returned, in the form of a 2008 would-be children’s TV show that sparked so much inside of us? We don’t know. 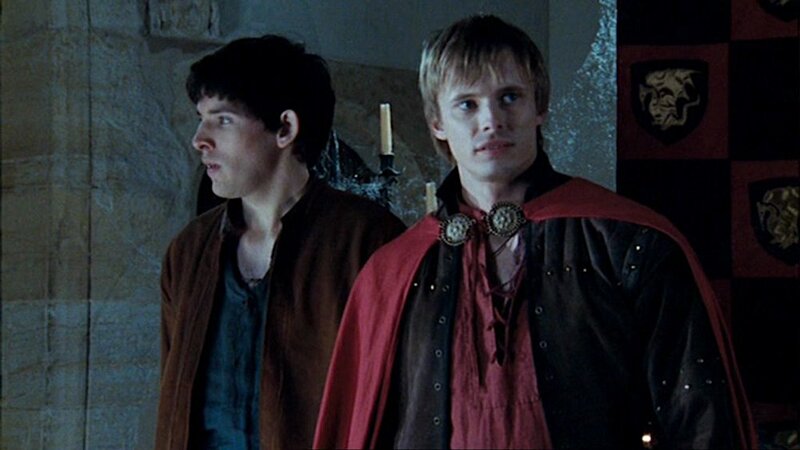 We don’t know anything, beyond that Merlin is still waiting for Arthur. We don’t know what happened to Gwen, or Leon, or Gaius, or Camelot. We don’t know if Arthur ever will return, or if perhaps he already has. We don’t know, because this tragic ending was not an ending at all. But we can imagine, our imaginations already sparked by the wealth of potential and possibilities offered up by the series, the finale a fulfilment of so much promise and an encouragement to imagine our own endings beyond what the legends had to offer. And that is why, 10 years later, I’m still thinking about Merlin. Are you still not over ‘Merlin’ 10 years after its premiere?